LeEco, the China-based company that dabbles in a little bit of everything, announced at CES that it intends to launch its Android-powered smart bikes during Q2 of this year. First showcased at the big US press event in October, not many details were made available, but LeEco has a bit more to share this week. 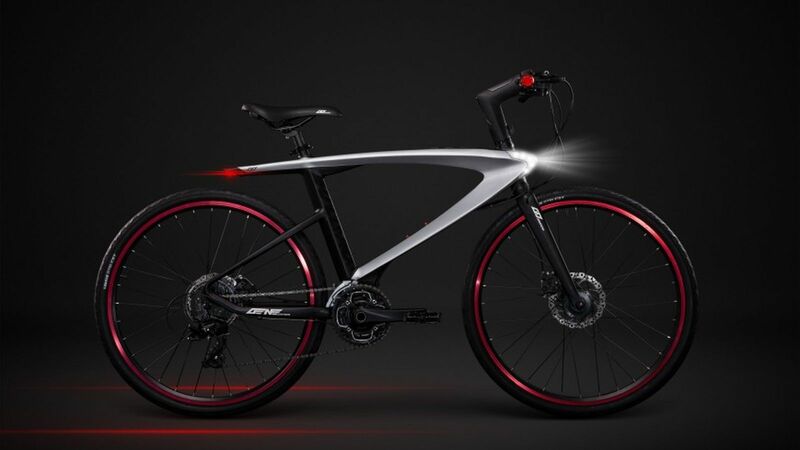 When the time comes, LeEco will launch a road bike and a mountain bike, each being catered to the specific variety of biking they were built for. On the Android side, the bikes are said to use a Snapdragon 410 processor and feature a 6,000mAh rechargeable battery, with “BikeOS” running the show on top of Android “Marshmallow.” With BikeOS, users can track their rides, share data, plus receive data thanks to the bike being equipped with a barometer, HERE Maps, walkie-talkie communication with other LeEco bikes, and GPS/GLONASS support. For hardware, the road bike features a Toray T700 carbon fiber frame, fork, seat post, handlebar and wheels, weighing in at 18.5 pounds. Other specs include an 11-speed one-by drivetrain and lightweight brake set with dual-pivot technology. For the mountain bike, buyers get a Toray T700 carbon fiber frame and handlebar, SR Suntour XCR Air front fork, plus a 27.5”/650b diameter wheelset, weighing in at a total of 26.9 pounds. The 11-speed one-by drivetrain model also utilizes a single chain ring crankset, rear derailleur, and a wide-range 11-42 tooth cassette. Considering I’m not a bike nerd, I have no idea what any of that is, but it runs Android, so here we are. No pricing is yet available, which has me slightly worried. However, LeEco has always been one for aggressive pricing, but with news of the company’s struggles to make money beginning to surface, who knows how competitive LeEco can continue to be. Be on the lookout for me to take one of these for a spin this week.